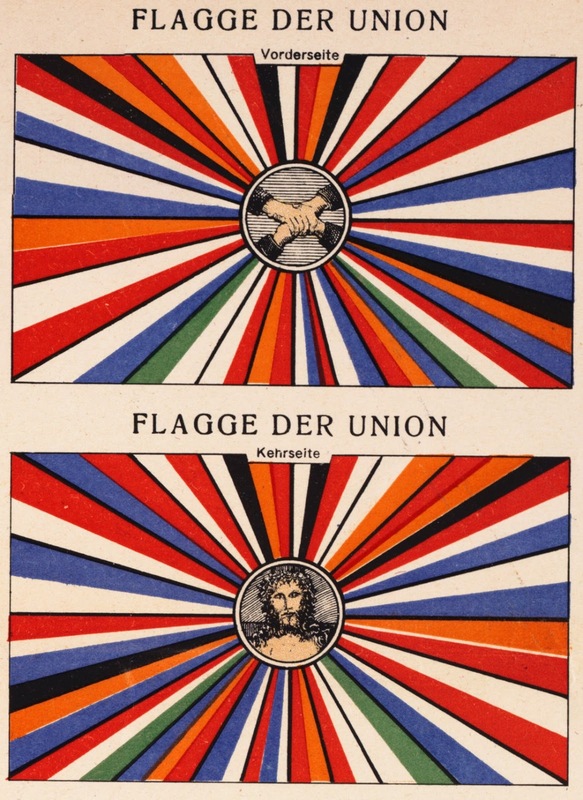 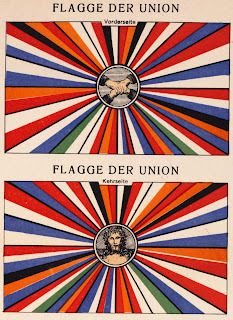 From the conclusion of World War II through the Cold War era there were fears of occupied Germany—both divided and reunited—becoming too powerful and growing resurgent with its domineering tendencies and in part the European Union and its antecedents were created as a framework to contain Germany, but we had never come across this radical, radial proposal to politically unite central Europe by parsing it into twenty four cantons. 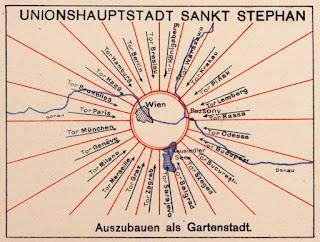 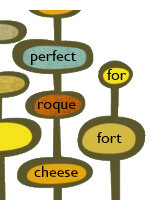 Each ray contained one major city each on the continent and emanated from a central capital, Vienna reflagged as Sankt Stephan after the city’s landmark cathedral, but no member was a nation state in the traditional since as the bands included parts of at least two countries and in most cases took in a broad spectrum of language, culture and heritage. 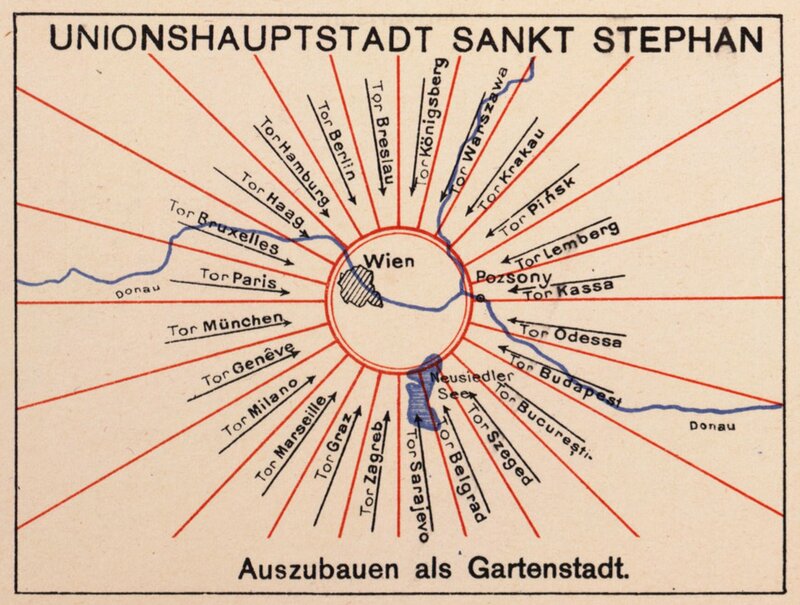 The map and model government, which called on for a rotating presidency and shared administration of colonial lands, were proposed in 1920 as the world was still coming to terms with the horrors of World War I, with the authors confident that allowing boundaries to be drawn along ethnic lines (their Esperanto-speaking utopia broadly classified four constituent tribes of Europe: Teutons, Slavs, Magyars and Romans—and each canton was configured to mix the groups) was an obstacle to lasting peace.